Heeft u een vraag voor Sergeant House? 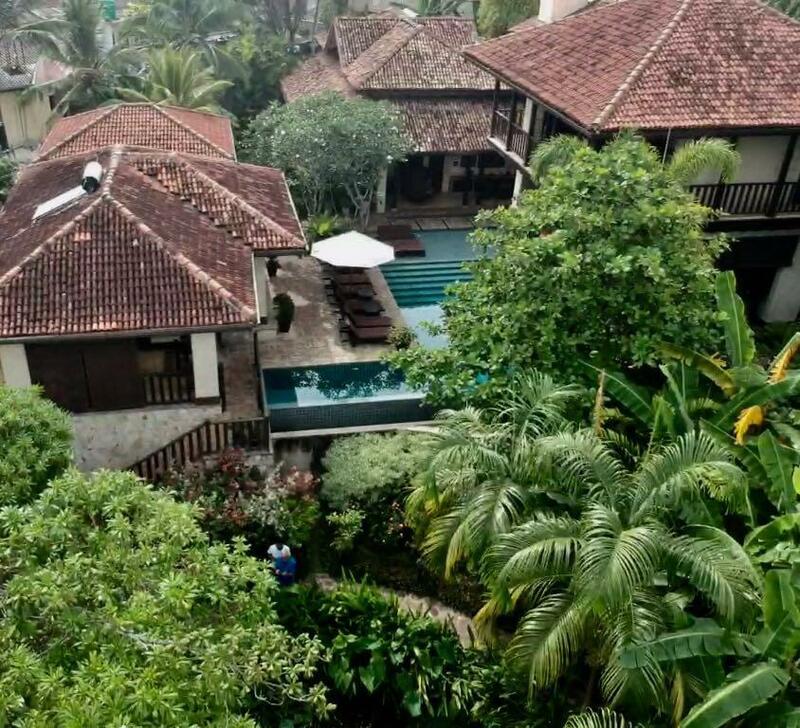 Gelegen in het hart van Unawatuna gebied, is Sergeant House een ideale uitvalsbasis om Unawatuna te ontdekken. Op slechts 150 km afstand, kan deze 4.5-sterren accommodatie eenvoudig vanaf het vliegveld worden bereikt. 'Sightseeing' opties en lokale attracties hoeft men niet ver te zoeken, aangezien de accommodatie in de buurt van Unawatuna Duikcentrum, Pearl Divers, Gananandarama Purana Maha Viharaya ligt. Niets is te veel voor Sergeant House om het haar gasten naar de zin te maken. Zo biedt deze accommodatie de beste services en voorzieningen. U kunt hier gebruikmaken van een selectie van topklasse voorzieningen, zoals 24-uur roomservice, gratis wi-fi in alle kamers, 24-uur receptie, wi-fi in openbare ruimtes, parkeerplaats . 3 kamers, verspreid over 1 verdiepingen, bieden een warme en plezierige atmosfeer. Enkele kamers zijn voorzien van voorzieningen zoals plasma tv, spiegel, handdoeken, paraplu, kledingkast. De beschikbare recreatiemogelijkheden in de accommodatie zijn inclusief fitnesscentrum, zwembad (buiten), massage, tuin. 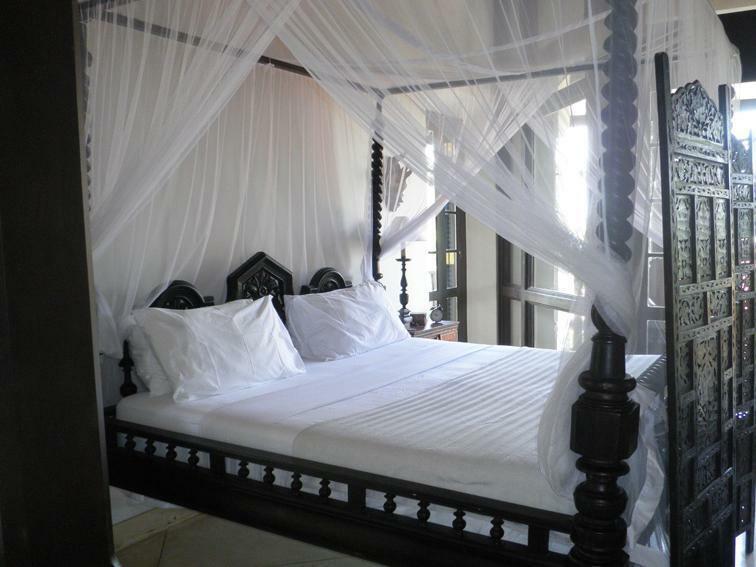 Sergeant House is een ideale verblijfsplaats voor reizigers die charme, comfort en gemak in Unawatuna zoeken. Wat een heerlijke week heb ik in dit schitterende paradijsje gehad.Exeptioneel.Het schitterende complex met tuin ,zwembad mijn kamer.Ik kan niet iets negatiefs bedenken en wat werd ik verwend door het personeel!! Bravo. Lush grounds, beautifully decorated rooms, lovely and very efficient manager, friendly and helpful staff, talented chef, excellent location. Staff was quietly available for all needs. Manager, Chathuri, is simply excellent at her job. She is skilled in the (not so easy) art of hospitality and we appreciated her honesty and professionalism. Grand Suite highly recommended. Tastefully chic, large space, plenty of closets, comfy bed, good air con, large and private(ish) terrace perfect for a late afternoon drink overlooking the pool area and lush vegetation. It is certainly one of the most uniquely beautiful rooms we’ve ever enjoyed. We ate at the Sergeant House our last night, and immediately wished we had dined there every night. Chef is fantastic. Sri Lankan curry delicious feast. Beautiful hotel. However, when you will book your room, I advise you to check precisely if you have a large bed or two twin beds. Indeed, I booked a room with my girlfriend and when I arrived at the hotel, it was two twin beds which were separated by stairs. Except this, the hotel is amazing, the pool is awesome ans staff very nice. 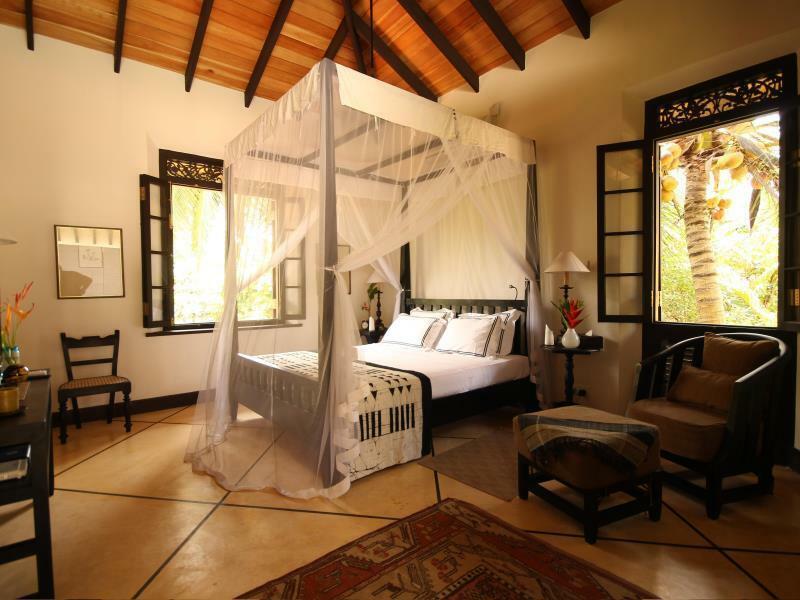 very beautiful villa with good service，and the owner did well about the details. 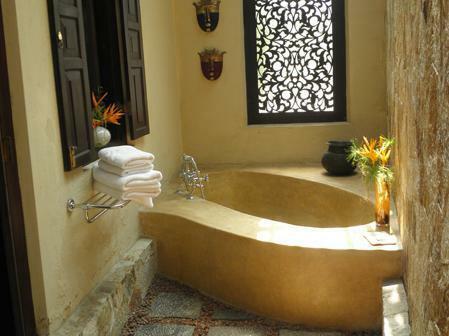 This is a stylish boutique hotel: beautiful swimming pool, beautiful setting, excellent room, with excellent service. We had a very pleasant one night stay at this small beautiful hotel. My one concern is about food: we planned to go out for a drink at 6pm, and were asked to order dinner before we went so it could be prepared when we returned at 8pm. That was ok, but before we went out, I happened to look into the kitchen and saw the food (hamburger) already cooked, in a pan, uncovered, on the stove. This was a full 2 hours before we were due to eat. When we did eat, my husband ate the hamburger and said it was fine. I had seafood noodles which were delicious, but my point is it is not a good hygienic standard to leave food, uncovered, for hours in a tropical climate. So, this aspect of service did let the otherwise excellent hotel down. Enjoyed it, friendly & courteous staff . Beautiful garden, pool & layout. Tastefully designed. Seen to every possible detail. A memorable stay ! 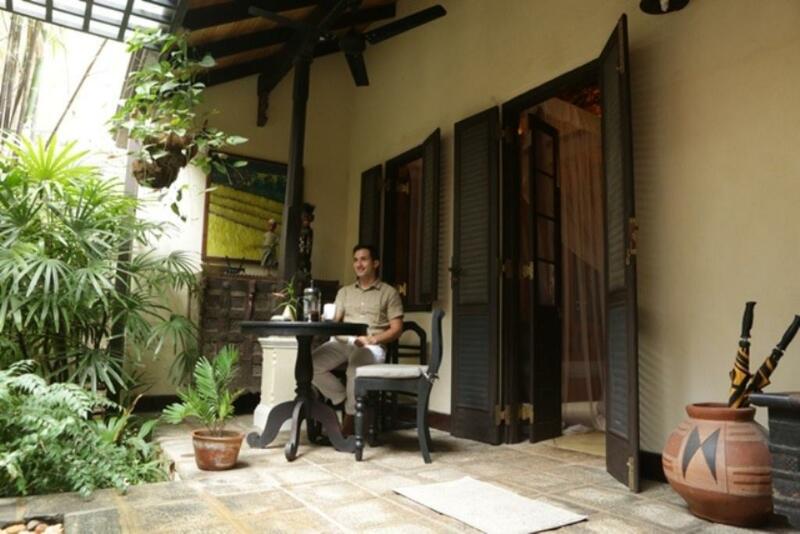 A good place to unwind & relax , away from the usual busy life ! Can't recommend this hotel enough. Absolute perfection. Can't wait to return. This is definitely a hidden gem. The Bungalow is like a home away from home. This hotel (more like a cluster of three villas) is in our top 10 of accommodations, and we have traveled to over 30 countries. Beautifully designed and with a staff that is exceptional. Absolutely recommend. Our stay was simply out of this world! Sehr schöne und grüne Anlage. Zimmer sehr großzügig und gut dekoriert. Leider war sehr oft kein Personal da. Personal war sehr schlecht gekleidet. Meist dreckiges, gelbes und altes T-Shirt. Ein sauberes Polo-Shirt würde sich in solcher Unterkunft besser machen. Die Dame des Hauses war nett, mehr aber auch nicht. Ein bisschen mehr Engagement und ehrlich gemeinte Freundlichkeit würde dem Hotel gut tun. Leider war zu dieser Zeit ein Umbau mit Baulärm im Gange. Dies machte unsere letzten Tage nicht geade zu den ruhigsten. arredamenti raffinati, tranquillita, giardino meraviglioso, bellissimo davvero! abbiamo soggiornato al Sergeant House purtroppo solo una notte, siamo rimasti a bocca aperta fin dal primo momento per la raffinatezza degli arredi e per la meraviglia della tranquillità che si respira! un posto magnifico, dove realmente c'è stato un grande impegno nel recupero di questa vecchia casa e dove ogni giorno ci si prende cura del cliente con la massima disponibilità. E' un posto da non perdere! 预订了两晚, 有段小插曲,由于误订了小房间,跟经理商量免费在第二晚换成了泳池边的大套房. 酒店虽然只有6间房, 但每间房都布置得很有特色, 感觉住在了艺术馆里. 泡了两天还是不舍得走,下次还会选它.